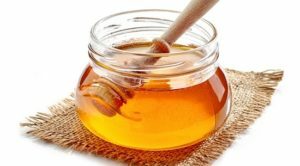 Honey is world’s oldest sweetener used instead of sugar; people used honey over the years but these days sugar is used as a sweetener. Honey is more nutritious and has more health benefits as compared to sugar. Real foods are more nutritious as compare to white sugar. Honey contains a number of anti-oxidants that not only improve overall health but also lower the risk of disease and honey has anti-bacterial qualities as well. When it is applied to the skin it helps in the killing of bacteria and heals the wounds as well. People use honey for sore throat because it boosts the body immunity. Both honey and sugar contain glucose and fructose. In case of sugar, various organic acids, enzymes, vitamins, nitrogen elements and proteins present in sugar cane are lost during the manufacturing process of sugar. On the other hand, honey is a natural sweetener and it contains anti-oxidants and anti-bacterial properties which are not present in the white sugar. Honey is a natural product while sugar is processed man-made product. Many people ask “is honey sucrose or glucose”? In honey glucose and fructose are independent and not bonded to each other while in case of sugar, fructose and glucose are bond together to form more complex sugar like sucrose and it is commonly known as table sugar. Honey contains different type of oligosaccharides as well. One tablespoon of white sugar contains 49 calories while on the other hand one tablespoon of honey contains 68 calories and it is due to the higher density of honey. When we compare the energy value for 100 gm of sugar and honey then we gets to the point that honey has lower energy value due to high water content in it. The main difference between sugar and honey lies when it comes to digestion. When we consume table sugar then it passes through the stomach without digestion because of the presence of disaccharides in it, which means that enzymes present in the stomach are not able to break down this structure until and unless it reaches small intestine. On the other hand, digestion of honey is completely different because the two simple sugars such as glucose and fructose are directly absorbed in the blood stream and are easy to digest. Glucose in the honey is quickly absorbed in your body which results in the production of more energy. Honey contains fructose so it helps to boost your energy level and energy lasts longer as compare to sugar. According to studies honey increase the performance of sports athletes because it reduces muscles fatigue. index of sugar is 68. Now many of you must be thinking about glycemic index (GI) so GI is a measure of how the carbohydrates deal with the glucose in the blood stream. According to the research, foods which have low GI reduce the risk of coronary heart disease and diabetes because of small increase in blood glucose level. When we compare the nutritional value of honey and sugar then we come to know that honey contains important minerals such as sodium potassium calcium, magnesium, sulphur, iron and vitamins such as vitamin B1, B3,B6,B2,B5, Vitamin C and choline (an important neurotransmitter). While table sugar lacks all these significant vitamins and minerals. The major difference between honey and sugar is their taste. White sugar is always sweet in taste whereas in honey you may feel additional sensations as well and it may differ depending on the type honey. It is the reason people use honey for baking because it is easily dissolved. Honey is also use to marinade meat because of its rich creamy texture. 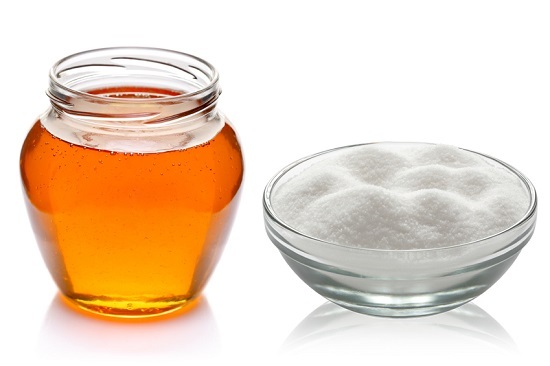 Many of us want to know that is honey healthier than sugar? The answer can YES, because of the health benefits and nutritional value of honey. Now you must think of honey when buying sweetener from the market because it is natural product. You can use honey in your tea and in salads dressing as well. Whatever form of sweetness you choose to consume, you have to eat it in moderate amount otherwise it will cause health issues as we know that excess of everything is bad so this applies to health as well.